We’ve been covering the onslaught of news surrounding the new 2016 15″ MacBook Pro and its smaller brother the 2016 13″ MacBook Pro. Most of the news that has been coming out has been one complaint after another, ranging from GPU issues to battery life. We finally have our 2016 15″ MacBook Pro in-house and this is our initial brief thoughts and first impressions of Apple’s latest Pro laptop after having used it for the past five days. 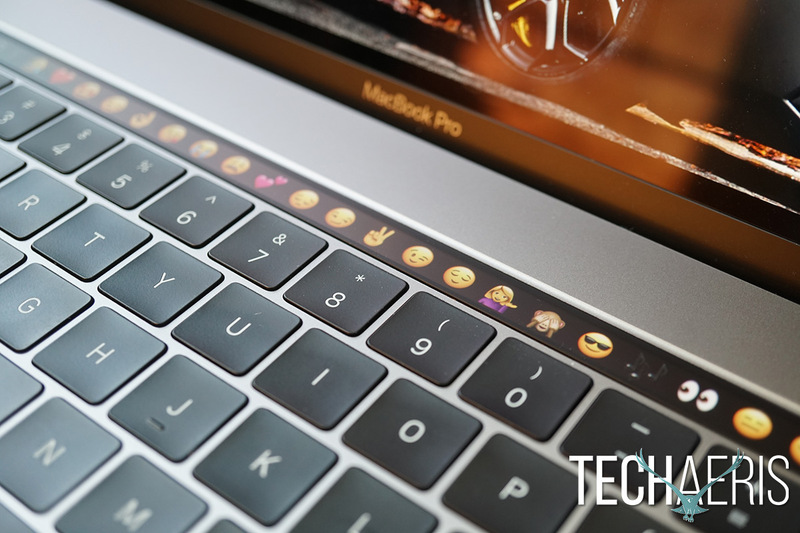 There are varying thoughts on the TouchBar and its usefulness. Some seem to enjoy using it and some call it a gimmick. I found that some controls within the TouchBar were useful having around but it’s certainly not life changing technology at this point. The argument from some is Apple should embrace touchscreens much as Windows 10 has, but I’m not much of a touchscreen user. The TouchBar gives me some interesting control over certain functions and I like it just fine and despite others saying it’s not intuitive, I find it fits my workflow just fine. 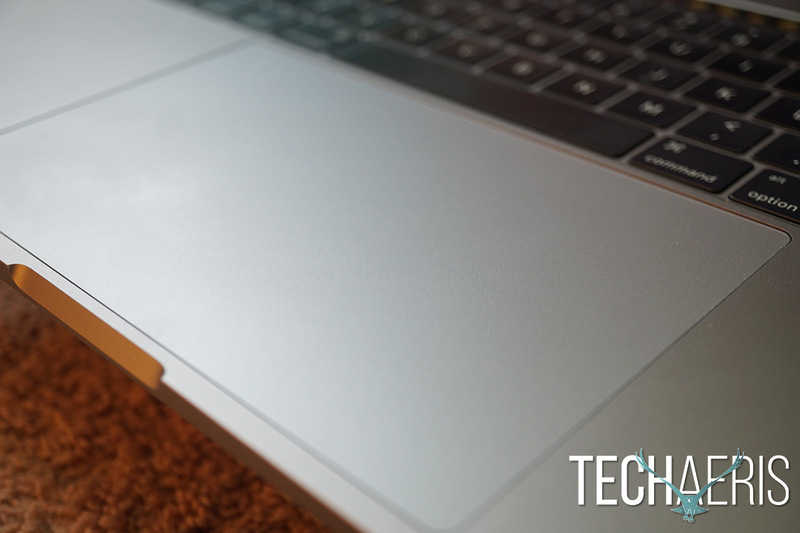 What can I say about Apple’s TrackPad other than I still think it’s the best damn TrackPad on any laptop period. The two changes here are ForceTouch and the sheer size of the TrackPad — it’s huge. Many have complained that their palms rest on the TrackPad while typing and that palm-rejection software was a mixed bag. The way I rest my hands on the laptop I have yet to have my palms hit the TrackPad and I like having the extra real estate. However, I can see how different typing styles might find the TrackPad a problem. The keyboard is a mix between the 2015 MacBook Pro and the 2015 12″ MacBook. The 2nd generation Butterfly keys are much improved over the 1st generation. Not everyone is going to like this keyboard, it is true that it is louder than last years model but I enjoyed typing on it much more than the 12″ MacBook. The backlighting is much improved here as well and overall I’ve been having a great keyboard experience. Apple’s build quality is still among the best in terms of materials and design. The machine feels solid and it’s crazy thin (though I would have liked a bigger battery instead of thin) and the hinge mechanism is now one piece of aluminum eliminating that gaudy plastic hinge. The resolution on this display is the same as last year’s but the nits and the color gamut are vastly improved and it shows. This is simply the best display I’ve seen on a MacBook Pro in a long time. The color gamut is also much improved and colors just pop off the display, blacks are deep and rich and whites are true. 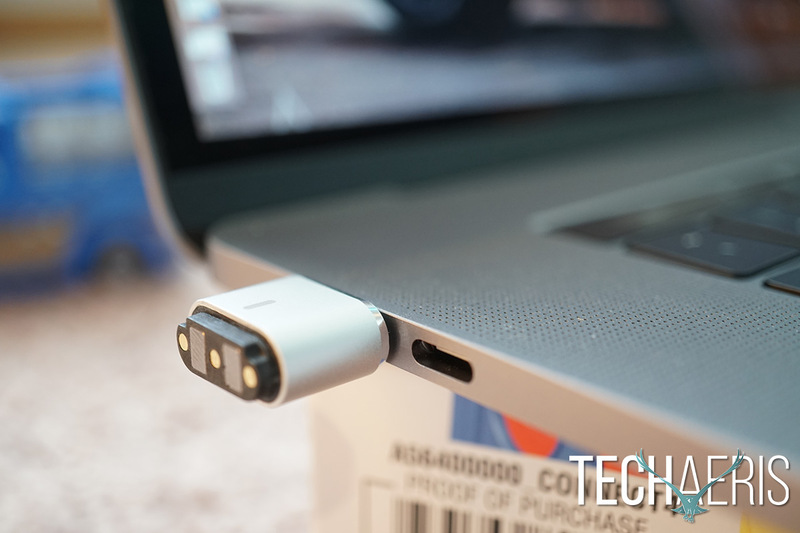 One of the most controversial things about the 2016 15″ MacBook Pro are the 4 USB Type-C/Thunderbolt ports. 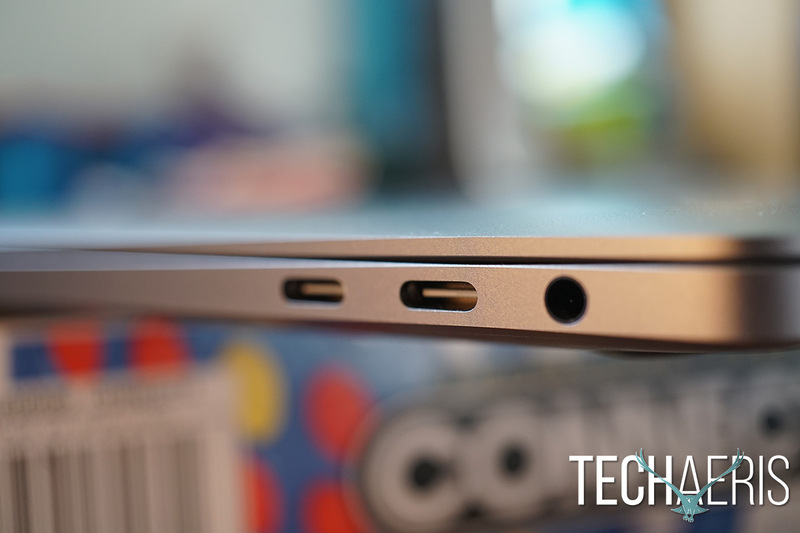 Apple pretty much killed every legacy port but the headphone jack — ironic isn’t it — and have fully adopted USB Type-C. 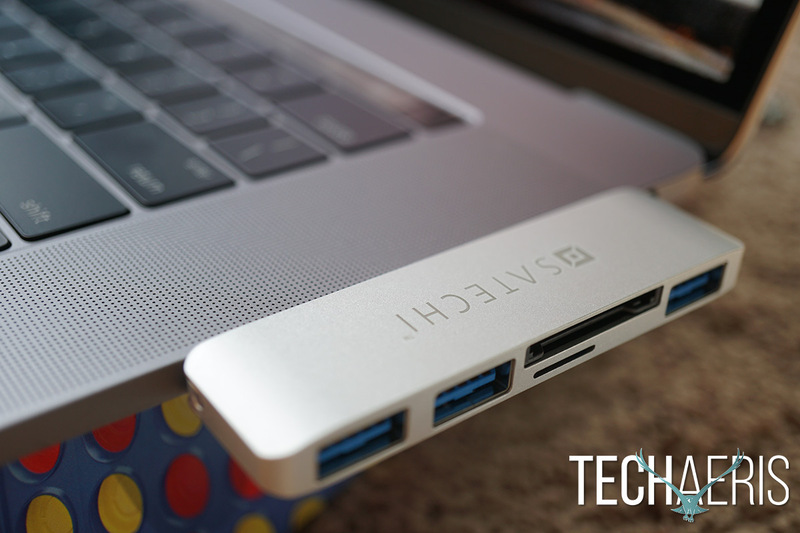 I don’t actually mind this, I currently am using a Satechi multiport adapter to give me my USB 3.0 ports back but it’s not that bad. The removal of the SD card slot doesn’t bother me either as I just plug my Sony a6300 into the USB 3.0 port on the adapter. I fully understand that the workflow of many users is much different than mine and the removal of these ports is something they should most certainly by upset by. Personally, the only port I miss is the MagSafe connector. I think this should have been kept as it has saved my Mac from being splattered many times, for now, I’m using Griffin’s Breaksafe cable, which isn’t the best solution but it works. 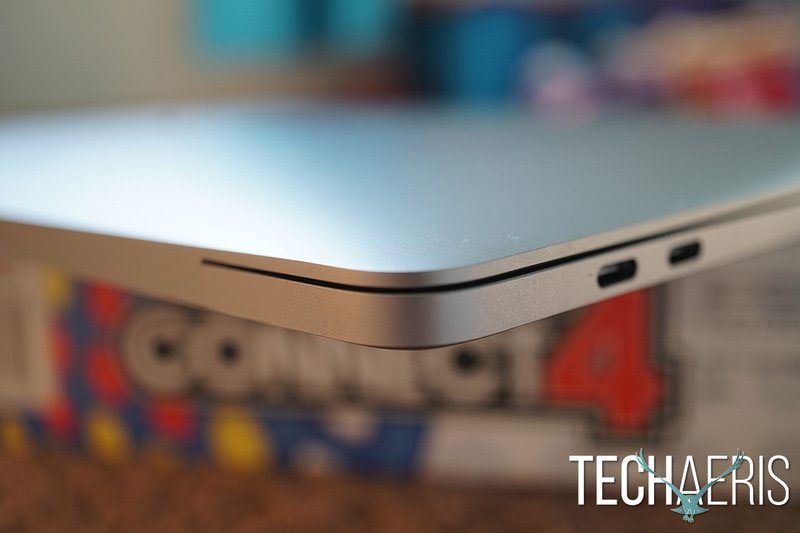 This is the biggest controversy lately with the 2016 15″ MacBook Pro. Users have been reporting that battery life is dismal on the new MacBook Pro line in general and Consumer Reports has tested this as well and for the first time is not recommending this laptop to consumers. We’ve had a mixed bag of results in regard to battery life, the first day was the worst with just over 4 hours of battery life with Apple Music playing, light Photoshop, browsing, email and writing posts in WordPress. Over the next few days, battery life did improve but I’ve yet to get more than 6 hours of battery life on a near $4000USD machine that Apple says should get 10 hours of battery life. I also noticed the fans kick in fast and hard whenever I used the laptop on a soft surface like a bed or on the carpet and the battery drained much faster in these instances. Overall Apple has a lot of work to do in this department and had better make those improvements quick. One word, amazing! These speakers are among the best I’ve heard on a laptop and I love them. 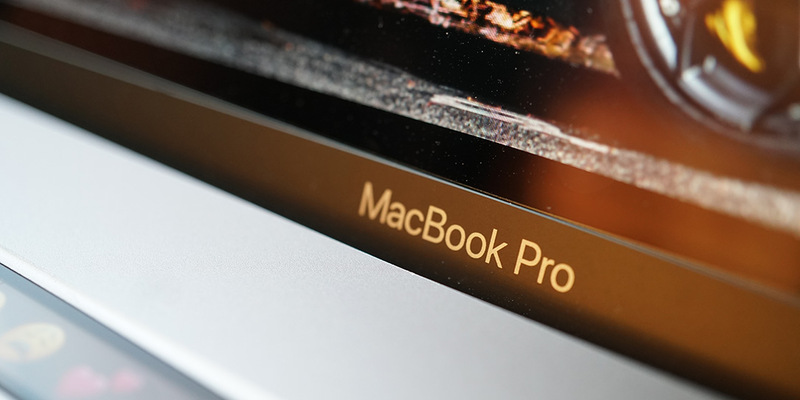 The 15″ MacBook Pro has long been considered one of the most premiere Pro machines you could get for engineers, designers, musicians and more, but that was then and this is now. While the MacBook Pro is still a very capable machine, there are many other Windows 10 laptops that are really worth looking at even for pro users. I honestly would have looked at the Microsoft Surface Book with Performance Base or the newer Dell XPS 15″ that is slated for Q1 2017. The only reason I ended up pulling the trigger on this machine is because of the large amount of money I had in Apple Store gift cards. Apple Store gift cards are not redeemable for cash so I ended up paying for the majority of this machine using those. Had I had cash in hand, I would have most certainly checked out the Windows 10 offerings. This MacBook Pro is most certainly an upgrade from my 2011 MacBook Pro so I’m not complaining in that regard. Overall, I still love the new 2016 15″ MacBook Pro. I don’t think it’s worth the money they’re charging for it when there are equal or even better alternatives on the market but it is a very capable and good machine. If you’re in the market for a new laptop and are looking at this laptop, I’d encourage you to shop around and see if there is a Windows 10 alternative that may suit your needs, but even if you don’t, the MacBook Pro is still a good machine — unless Apple doesn’t find a way to fix the battery life problem.